Christy is an in-demand life coach, transformational leader, CEO and founder of the Quantum Success Coaching Academy. She has helped thousands of women and men around the world achieve their goals through her empowerment seminars, speeches, and coaching sessions and products. 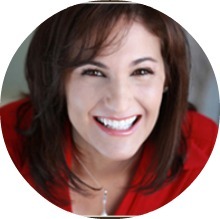 Christy is a certified Law of Attraction coach and a trainer with T. Harv Eker’s Peak Potentials Training. Learn more about Christy at http://christywhitman.com.